The governor of Puerto Rico has signed an executive order to allow marijuana to be permitted for medical uses. Alejandro Garcia Padilla endorsed the move, which will come into immediate effect, following a lengthy public debate on the US territory. Governor Padilla mentioned that Puerto Rico’s health secretary will have three months to file a report about how the executive order will be implemented. The order will also mean that some or all controlled substances that derive from the cannabis plant will be permitted for medical use. "We're taking a significant step in the area of health that is fundamental to our development and quality of life," Garcia said in a statement, cited by AP. "I am sure that many patients will receive appropriate treatment that will offer them new hope." It is not clear at present which type of illnesses will receive authorization for medical marijuana. It is also unknown whether the drug will have to be imported, or whether residents will be allowed to grow it on the island. "There are so many questions. 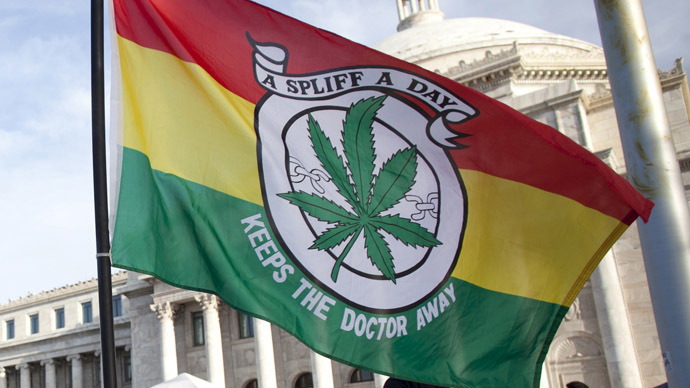 We have to look at all those details," Amado Martinez, an activist who supports legalizing marijuana told AP. The possession of any amount of cannabis in Puerto Rico has hitherto been illegal and punishable with up to five years in prison and a fine of $5,000. Advocates of the reform argue that the current policy has proved ineffective in the fight against the illegal drug trade on the island. Speaking in 2014, Perello said he became convinced of the drug’s medicinal use after a number of public hearings and testimonies from patients. "The work that has been done [and] the issue in public hearings has convinced me that this is the right treatment for some medical conditions and the controlled use of medical marijuana can improve quality of life,” Perello told the Puerto Rican publication, elnuevodia.com. Last year, Colorado became the first US state to begin selling marijuana for recreational use. Medical marijuana is permitted in 23 US States, while a group of lawmakers from the country are looking to remove federal prohibitions. In April 2014, Puerto Rico talked about legalizing marijuana and prostitution, in an attempt to jumpstart its sagging economy, which saw unemployment at 15 percent and a 45 percent of the population living in poverty. The island’s government was $70 billion in debt and the legalizing of marijuana and prostitution were two of 156 proposals put forward for further discussion, initially pitched by the public.